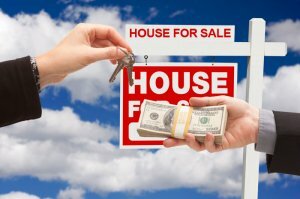 Selling My House Fast in Jacksonville – What Are Your Options? If you want to sell your home fast in any market, you first need to let people know that it’s for sale. Listing your property with a qualified agent has it’s pros and cons. Some of the pros can be, lots of exposure, multiple offers, out of state buyers, etc. Some of the cons can be, lots of strangers walking through your house, having your property “show ready” all the time, having to do repairs that come up, low ball offers, and having the property sit if no ones interested. Keep in mind that anyone can write a cash offer, even if they’re borrowing money to purchase the property. So when you’re selling a house through a real estate agent to an end buyer… be prepared that if the buyers financing falls through… you’ll have to start the sale process all over again… adding more months to the process, more holding costs you have to pay for, and more. Listing your property is a great way to sell your house, but it’s not the quickest way to do it. This is a newer method that most sellers don’t even know about yet! Instead of listing your property with an agent who then puts in on the MLS, you hire an agent who list it on an auction site. The agent will then set a date for the auction to start and a date for it to end. Buyers can then do an auction style bidding process and the highest bidder gets the property. There is no guarantee that your property will get the price that you want but it the final price doesn’t match what you had in mind, you can close the auction and redo it at a different date. The cool part of this is other buyers can see what everyone’s bidding price is and it creates a demand for the property. Again, not the quickest because buyers still get a chance to do an inspection and have financing options. A lot of sellers love this option because they think they can save money by not paying an agent to list it for them. They would be totally right and totally wrong at the same time. Sellers may be thinking “if I’m selling my house fast in Jacksonville, doing it myself is probably the best option”. Here’s the thing, the tools to really market your property just isn’t available to owners as they are agents. Also, sellers who do sell by themselves, usually lose out on more money because they don’t have a professional walking them through the process and showing them ways to get more money. This is by far the slowest way to sell your house. A great option is to sell your house to a local investment firm like us. Often, qualified investors have access to multiple lines of credit with public and private lenders that is secured by other assets. That means we can close quickly and we don’t have to wait for a bank loan to come through. You get your sale done and cash in hand quickly. Qualified investors will have no problem providing you access to bankers and references who can verify the investor’s ability to close on the loan. The best part is, our inspections take minutes not days. Plus we don’t require any appraisals or approvals by banks which means there are no financial contingencies to work through. And a huge bonus, we close in days. Not months! Our money gets to the title company within days of the contract being signed so you’ll know that we’re serious buyers! 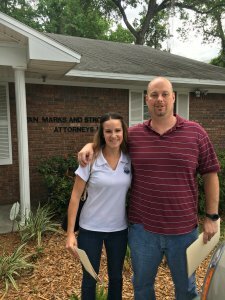 So no more asking “how selling my house fast in Jacksonville will actually work”? 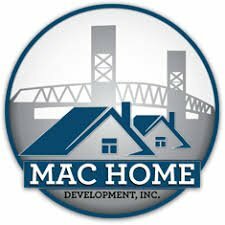 With Mac Home Development, we can help walk you through ALL of your options and help you pick the best one for you! You can get a fair cash offer from us actually today. 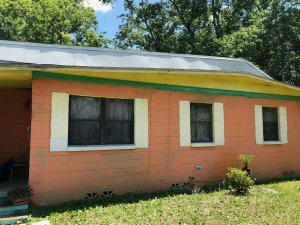 We’re buying properties in the Jacksonville florida area, which we’re local to… and we buy Jacksonville houses … then we either hold them as rentals for ourselves… or we’ll repair / remodel the house if it needs it and sell it to someone who loves the house. If your local Jacksonville property qualifies, we can buy your house fast.